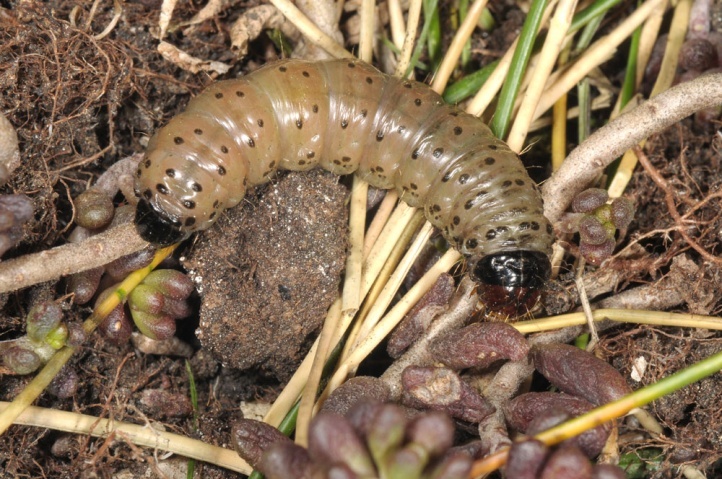 The caterpillar lives on tussock forming Festuca species on rock. Especially races of Festuca ovina agg. 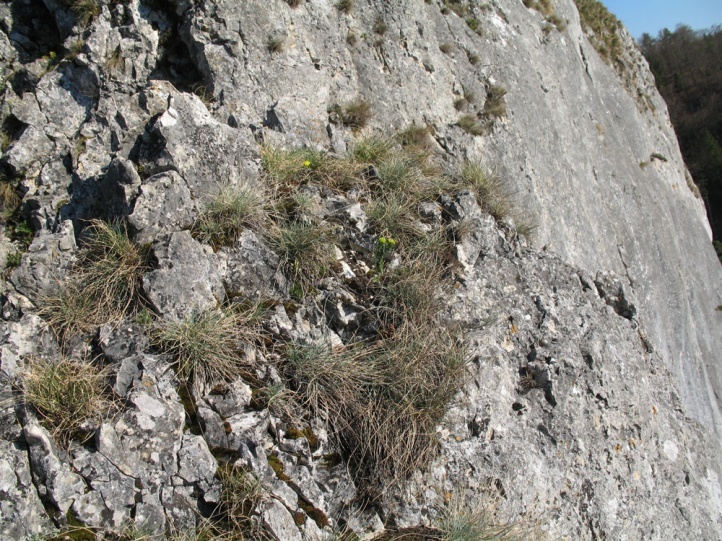 are used: Festuca pallens and Festuca guestfalica in the Swabian Alb. Apamea platinea inhabits rocky slopes, cliffs and rocky places in grasslands (mostly, but not exclusively, on limestone). 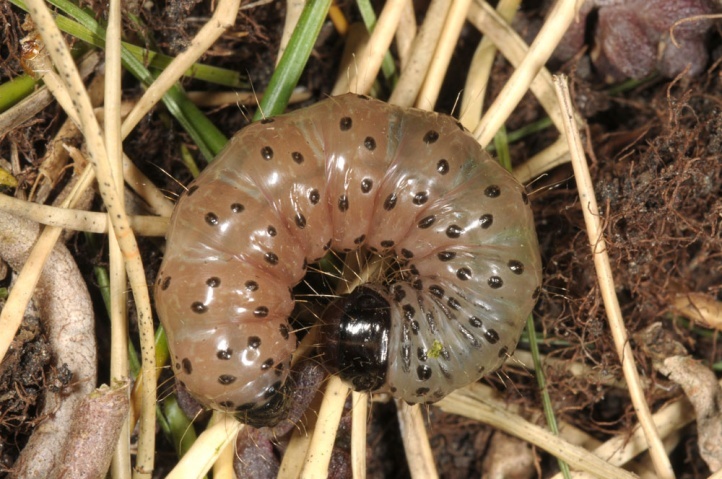 Larvae are found only in Festuca clumps at shallow places, but not in the closed grassland. 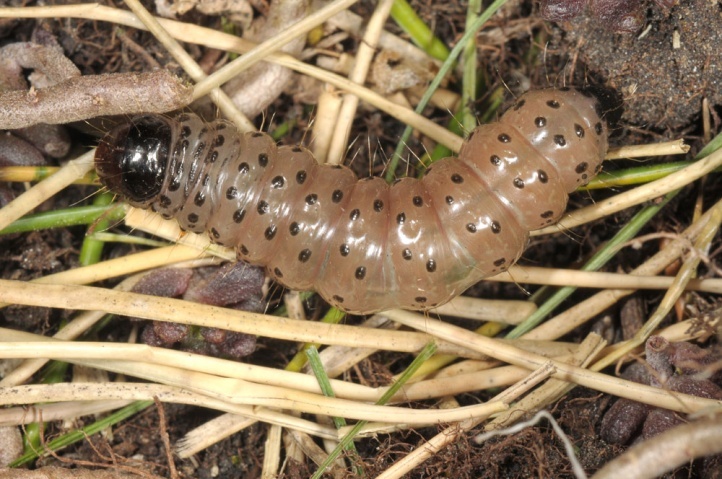 The caterpillar overwinters and lives as the related species (Apamea sublustris, A. furva and others) in cavities at the base of grass clumps (root collar region at ground level). 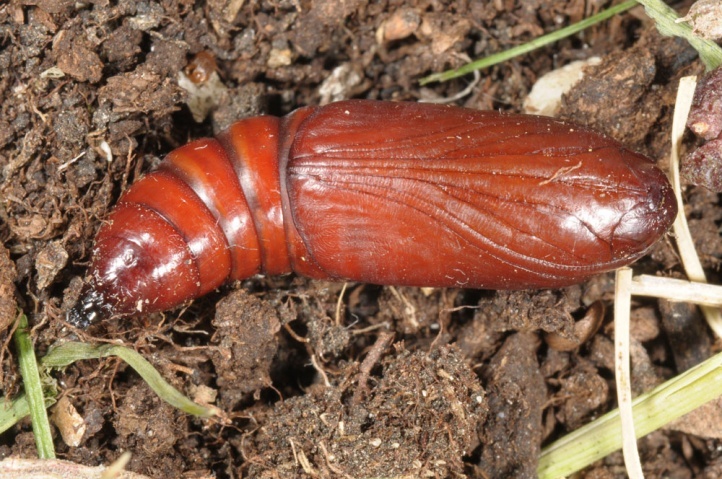 Here it feeds on the lower parts of grass leaves and stems in the root collar region, but not on the roots themselves. 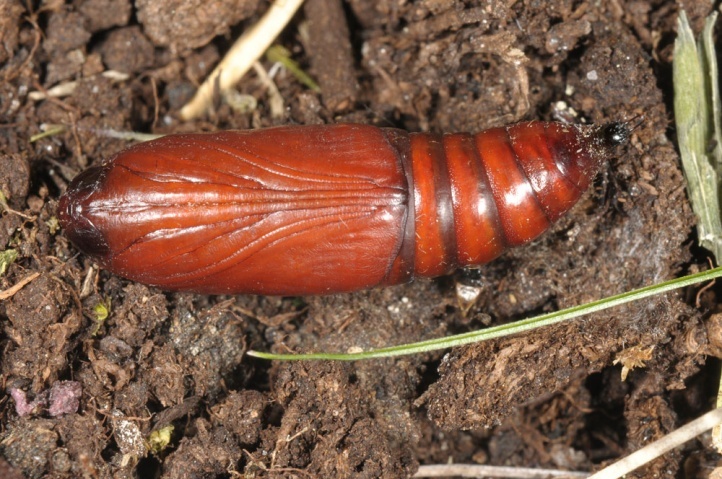 Pupation takes often not place in the host tussocks, but sometimes rather far away. 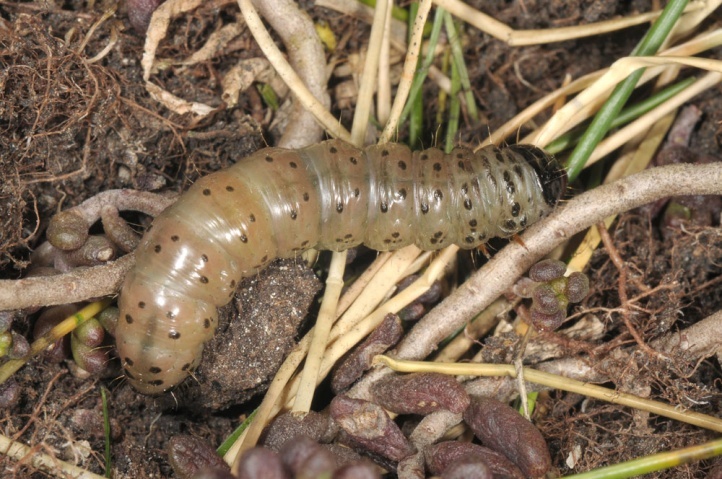 I found an old, last years chrysalis (cremaster as platinea, but possibly also A. furva) also in muck directly under the infested Festuca-tuft (feeding scars are often still identified 1 year later). 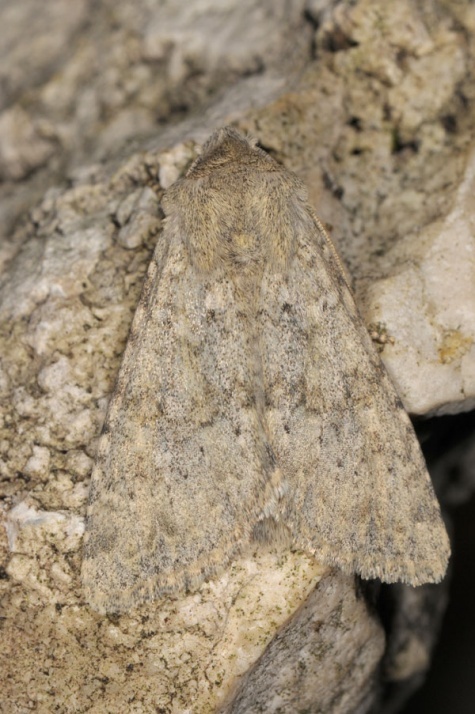 The moths fly from late May (in warm, low altitudes) to August with peak in late June/July. They rest probably mostly on the rocks. 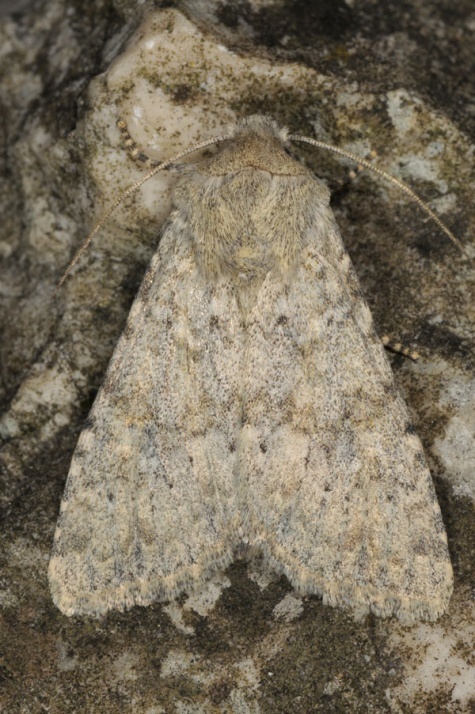 Apamea platinea is threatened by a variety of influences. 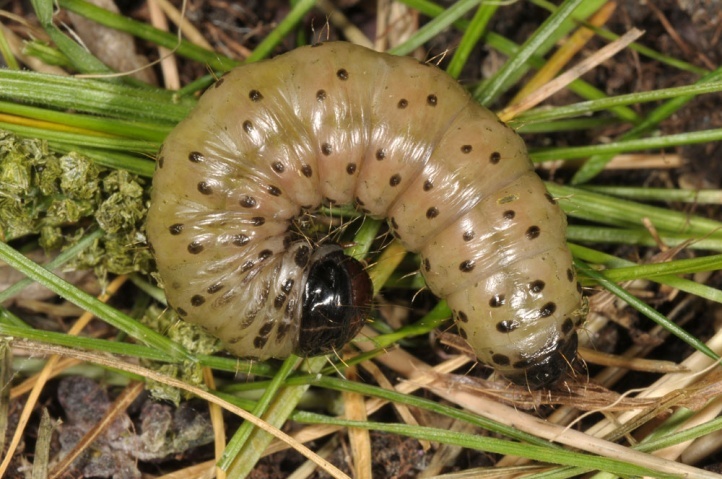 In the low mountains habitats are often in such small-scale that a certain risk of extinction is simply given because of the increasing isolation (as well as parasitoids). 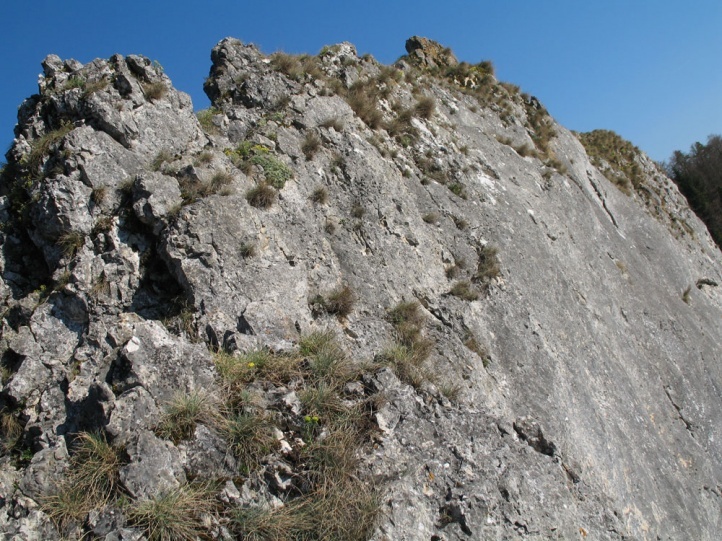 There are also adverse changes in the habitats due to sport climbing, succession and reforestation, quarrying (now rare), intense hiking tourism (in less exposed areas about on plateau edges and ledges) and possibly due to climate change (severe dehydration of clumps in dry seasons). 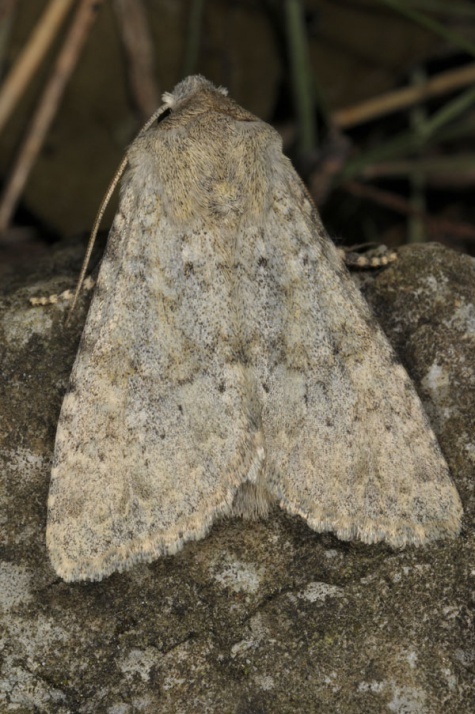 In parts of the Alps, Apamea platinea is threatened still less. 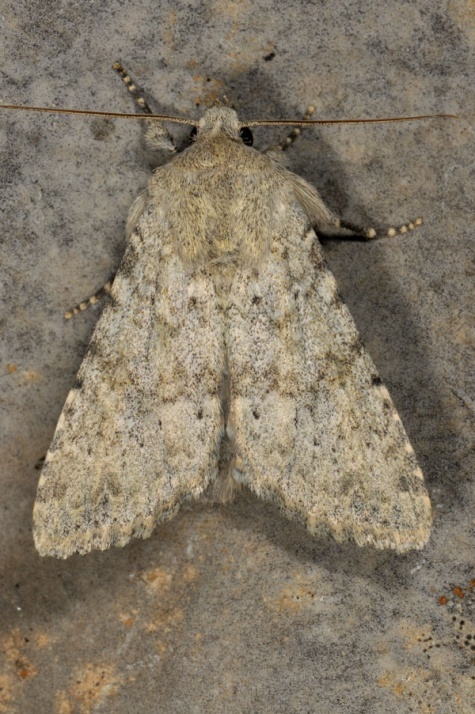 Apamea platinea is scattered in the medium high and high mountains from Morocco across Southern and Central Europe (absent in the north) to the east, at least to Iran. In Germany it is found in the Alps and locally in the low mountains (especially on lime: Jura).